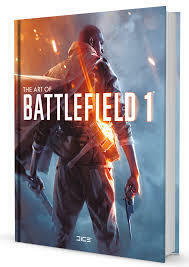 Art of Battlefield 1 - купить по выгодной цене | Магазин комиксов "Двадцать восьмой"
Твердый переплет, 310*235 мм., английский язык, 184 стр. As the Great War wages, heretofore inconceivable engines of destruction shake the ground and pierce the sky. Cavalries charge across the smoky landscape, legions of riders and beasts locked in a fierce new form of combat. This is the war to end wars. This is Battlefield. 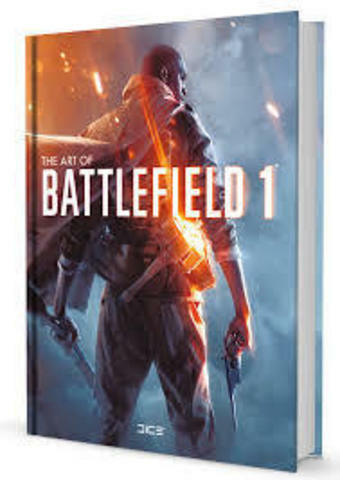 Dark Horse Books is proud to present The Art of Battlefield, collecting hundreds of pieces of art chronicling the production of EA DICE's latest entry in the iconic first-person action series. Visit the scenes of the history-shaping conflicts of World War I and examine the gear of some the 20th century's most intimidating soldiers. This is a volume that will thrill gamers in a stylish package that collectors will adore.